I was not compensated to write this post, but I did receive complimentary admission. This post contains affiliate links which means when you make a purchase through these links, you are supporting Wine and Lavender -at no cost to you- and I appreciate that so much! My opinions are my own. Why? Because it’s a necessary evil. The kids love them and they buy me tons of time to get things done. Legos are also great for their development, too. They help to increase fine motor skills, encourage critical thinking, math and problem solving, and foster creativity (just to name a few). As a parent, braving the Lego boobie traps seems like a small (albeit painful) sacrifice to make that’s well worth the benefits. 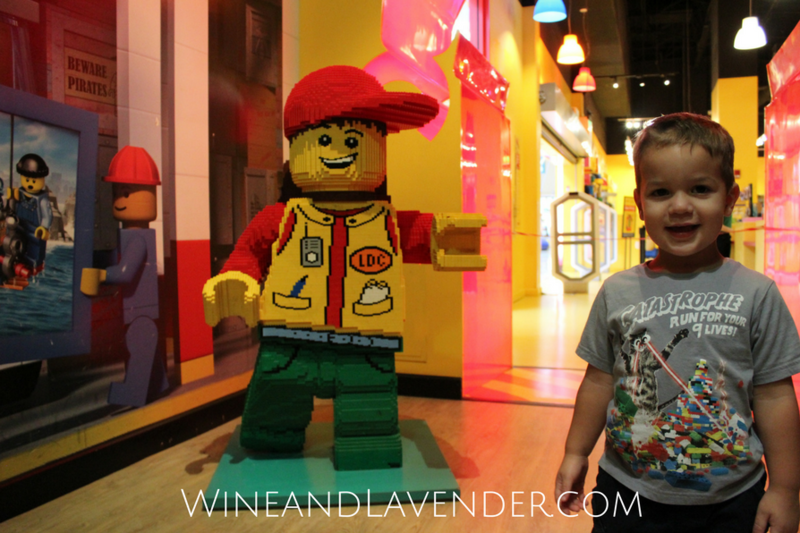 We visited Legoland Discovery Center in Grapevine, TX. This year, we didn’t have the funds (and I didn’t have the time or patience) to plan a trip where every intricate detail must be arranged months in advance. 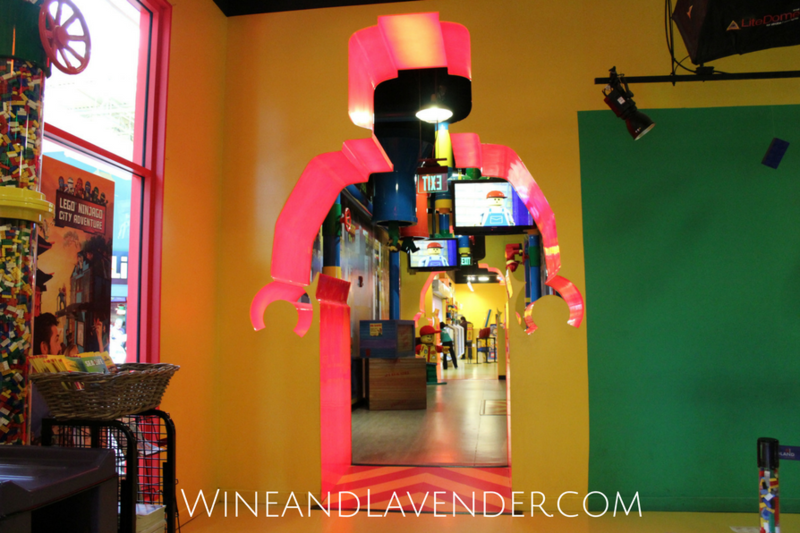 Unlike going to other “lands”, Legoland Discovery Center didn’t require too much advance planning and its location -just a mere 4 hours away from San Antonio- made for the perfect weekend getaway with the kids. It was less expensive and less laborious than the 30-hour road trip that we took this summer… and it was worth every mile. We were able to pack enough food to get us through the weekend and didn’t have to worry about spending money on food or the ice packs getting warm in our cooler. One of the best things about the trip for me was the little packing that I had to do. We were able to fit everyone into one suitcase and had plenty of room in the car to make it a comfortable ride. A short nap in the car was sufficient for the kids and there wasn’t much driver-switching to do because… it was only 4 hours. As I would tell the kids, that’s two movies and two episodes of SuperWhy, and no overnight “sleeps”. The oldest two took naps, which took almost 2 hours of the trip away and the rest was easy peasy. All in all, it was less expensive and less laborious than the 30-hour road trip that we took up north at the beginning of the summer… and it was worth every mile. From kids to adults, Legos has a huge following and their Discovery Center is age-appropriate for most. Children 2 and under are free- and they have just as much fun! We already had our tickets for both Legoland but were surprised to see that there was a long line for bookings when we got there. They allot a certain number of people for each time frame, so if you get there too late, you might not get your desired time and may have to wait until later in the day or the next day to go. Legoland Discovery Center is open 365 days a year, so there’s no need to worry about planning around dates. I do recommend that you buy your tickets ahead of time so that you can get your selected entry time and pre-purchasing their tickets online is MUCH cheaper than buying at the door. They offer combi-tickets for both Legoland Discovery Center and Sea Life Aquarium that saves you some cash, too. Annual passes are also available and they get you in all year, get you special offers, and also get you invited to exclusive events. You can find a list of Lego-themed events that they host year-round to help you plan your visit, too. Depending on the time you arrive, you may have to search for a close spot, but nonetheless- there is a lot of parking all around Grapevine Mills. Perhaps one of the best things about this particular Legoland is the fact that the Valet parking is right near the Legoland entrance- an incredibly convenient option if you’re interested. They do NOT permit outside food into Legoland Discovery Center, so you’ll have to leave snacks at home/your hotel. Parents- there is a Starbucks inside Legoland, so if you’re needing a caffeine fix, or need a snack, they’ve got you covered! 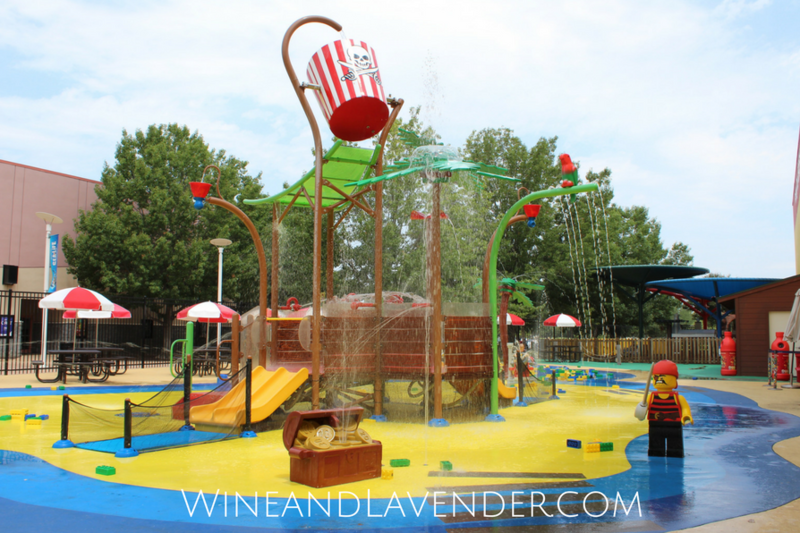 Did you know there’s an outdoor splash pad at Legoland? It’s located right next to the gift shop, so after having fun indoors, you can play and splash outside and then make a beeline for the exit. It’s the perfect ending to a perfect day. (It’s also a good idea to bring your swimsuit if you are staying at a hotel with an indoor pool.) Lockers are available for rent at the Pirate Beach, so you have a place to put your clothes and/or personal items while you splash around. To make the most of your visit, download the free Legoland app that has a scavenger hunt, tips on building and trading minifigs, and special offers. You can find it in the App Store. 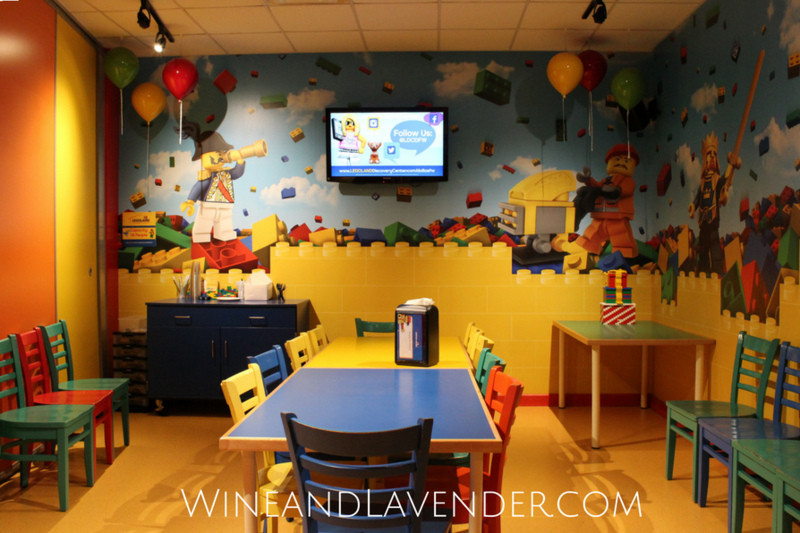 If your little one is interested in having their birthday at Legoland, they have a special birthday party room for you and your guests to celebrate. They also offer special rates for groups, school field trips, and Homeschool students. If you were planning to eat out afterward (particularly at Rainforest Cafe), make advance reservations because there was a giant line and the wait was one hour by the time we got there. Know that there are plenty of other restaurants and places to eat in the area that are quick to get to, also- or you can eat at the food court in the mall. 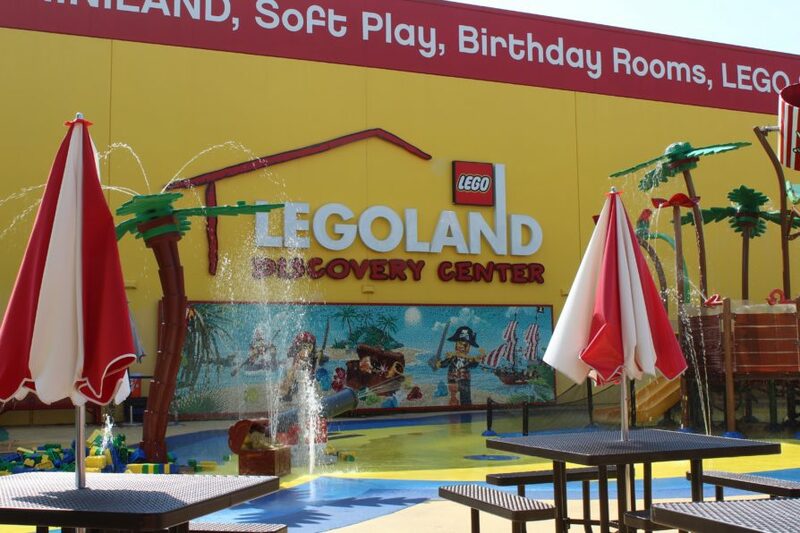 With 12 different attractions, there is so much to do at Legoland Discovery Center, and I would suggest allotting a few hours to one full day to enjoy it all. There are rides, shows, interactive play areas, a play structure, and plenty of Legos to play with all around you. Their intricate displays are amazing and show just how much can be done with these blocks- to include recreating scenes from your favorite movies! All in all, our visit to Legoland was a great experience that we ALL loved- but our trip didn’t end there. There’s so much to do at Grapevine Mills and another great attraction (directly across from Legoland) was Sea Life Aquarium. Check back for a post on our experience there! You can also find them on Facebook , Twitter, and Instagram. 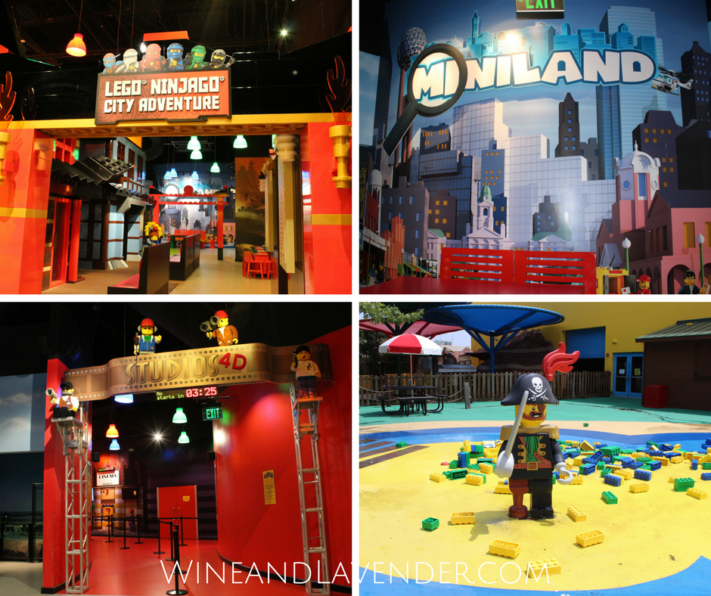 Have you been to a Legoland Discovery Center? If you have any more tips and tricks for the visit, I’d love to hear them below in the comments. I think my kids would love going to Lego Land Discovery Center. I love when I have the “insider” info before we go–I wouldn’t want to wait in line and possibly not get the time frame I want! So good to know! The splash pad looks like tons of fun, I bet my 4 year old would have a blast, she is just now getting into lego building. You will LOVE it, Crystal! The kids definitely had a great time (and we did, too! ).